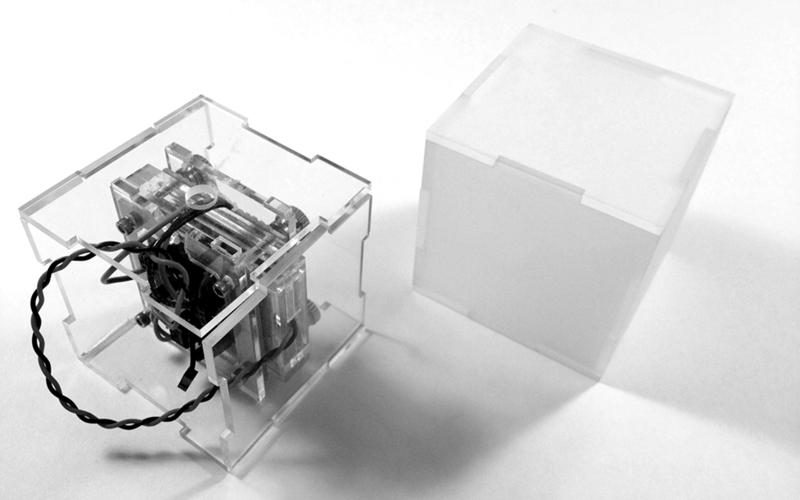 WiBlox are radio-frequency sensitive blocks that respond to radio-frequency activity with animated light. Multiple WiBlox in a space can map spatial variations in radio-frequency activity through color variations and changing levels of activity. 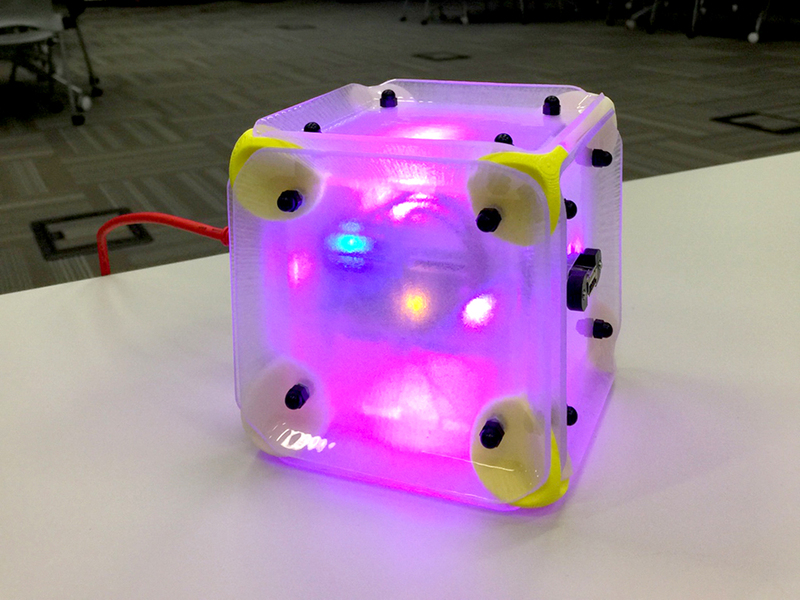 I designed and prototyped the original WiBlock in response to a call for proposals for interactive objects at the University of Chicago’s Center for Innovation Exchange. The Wiblock was picked from other proposals for a limited run production. In collaboration with Douglas Pancoast (who was responsible for instigating the call for proposals), Brad Johns and Rob Drinkwater as do.until().design, we further developed the Wiblock to be a wireless sensor platform for creative exploration of the Internet of Things. Thirty WiBlox were eventually produced and deployed within the CIE’s meeting space, with an accompanying smaller installation and series of workshops.